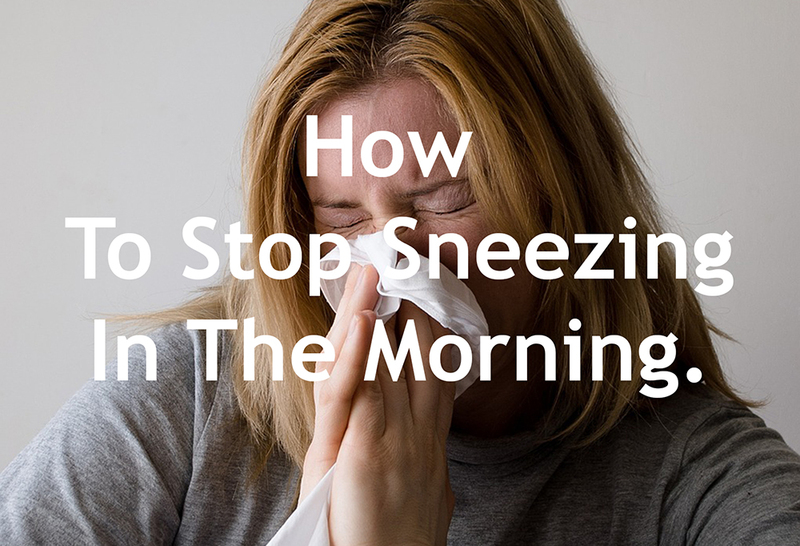 Home / Disease / Health tips / How To Stop Sneezing In The Morning. How To Stop Sneezing In The Morning. Woman sneezing - image by Pixabay. Rhinitis - Rhinitis is sneezing due to allergies. Someone who has a history of allergies to temperatures in the morning will especially sneeze in the morning. It can also be triggered by dust, mites, and other things that attach to the mattress or pillow and are inhaled while sleeping at night. The drug for allergic rhinitis can be used to treat it. Air Condition - Sneezing in the morning due to the surrounding air conditions, actually including allergy types. But here is distinguished. Conditions that make sneezing include: air is too dry, temperature changes drastically, cold air, changes in humidity, heating or air conditioning. Body Conditions - The body condition that can cause sneezing in the morning is fatigue, lack of sleep, and stress. Flu and Sinusitis - Flu and the characteristics of sinusitis can cause a person to sneeze in the morning. Generally sneezing because this viral infection is accompanied by symptoms of runny nose, stuffy nose, nosebleeds, hoarseness or nasal sound, decreased smell and taste, and lack of appetite. Take a shower and wake up early. Getting up and taking a shower early in the morning is meant before the prayer. Although what is in the shadow of bathing earlier means colder and sneezing more severely, which is not the case. Before midday the air difference was not drastic. If you wake up late and take a shower, the water will feel cooler. If you are still in doubt, this method can be tried first. 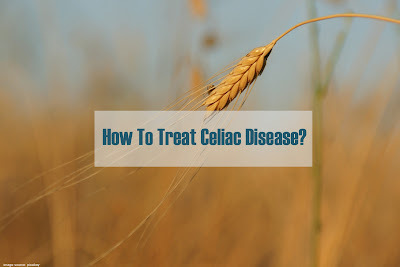 Observing and Avoiding Allergic Triggers. If the allergic trigger is dust, then the environment around the house, especially the room must be diligently cleaned. If allergies are triggered by cold, it is impossible for people to pass the day without a cold morning, so the first way to take a shower and get up early can be done. Natural dust allergy medicine is the best way. Cleaning the bedroom is a way to avoid or eliminate allergens such as dust or mites that are attached to a mattress or pillow. In addition to overcoming sneezing, then cleaning the bedroom can also prevent various other diseases. Including cleaning the bedroom is a routine to replace the sheets and pillowcases used. Avoid Using Overnight Air Conditioners. The use of air conditioning makes the surrounding air drier. This will trigger sneezing in the morning. The effects of AC use on health and the environment are very numerous and dangerous. If you are someone who can't stand the hot air, turn off the air conditioner when it's past midnight. After midnight the air wasn't as hot as before. Adjusting the coolant temperature as needed can also be done. This will also help maintain healthy skin. In addition, the cooler stores dust in it. Clean dust regularly so that it does not become a health problem or become another allergic trigger. A hot shower can be done by someone who feels the air around it is hot at night. A hot shower can be done before going to bed. This will make the pores become more open and avoid feelings of heat or heat. You will sleep better at night, even without using air conditioning. Exercise regularly improves the immune system. With exercise and sweating the body has adjusted to the surrounding temperature. Light exercise a few minutes every morning, will reduce sneezing in the morning little by little. Through exercise and sweating, it also means removing toxins from the body every day. Many negative effects never exercise that can be felt. In addition to exercise, consumption of nutritious foods also increases the immune system. If you are dieting to lose weight, do a healthy diet so that food intake remains nutritious. Nutritious food can also overcome sneezing because the infection even prevents the infection itself. Nutritious food is a variety of foods and enough of all the nutrients needed. To overcome sneezing, emphasis is on the consumption of fruits more often. Water is believed to help smooth the body's metabolism, improve blood circulation, and remove toxins from the body in the form of sweat and urine. If you wake up at night, drink water that is not cold (not from the refrigerator). This is very important, especially for those who sleep using coolers. To reduce dryness in the skin and overcome the lack of fluid. Enough to Rest and Avoid Stress. Less rest and having stress can cause the body to lose its endurance or reduce the body's resistance. Therefore, stress and lack of rest can trigger sneezing in the morning. No matter how much your work, set the best possible time to rest your body. Managing stress and being more relaxed about a problem will be very helpful and maintain health. The easiest stress relief therapy one of them is by exercising regularly. The use of drugs can be used to eliminate allergies. But this cannot be done forever. Because after all drugs contain chemicals. Not good consumption of drugs for a long time. This will trigger new health problems. It would be better to sneeze overcome by avoiding allergens or triggers and changing your lifestyle to be healthier. Use of drugs to deal with sneezing in the morning only by consulting a doctor or for people who experience sneezing due to viral, bacterial or fungal infections.